The Projects section flaunts high-quality photography. It is broken down into three sub-sections, each one dedicated to Ezarri’s series: Premium, Classic and Custom. 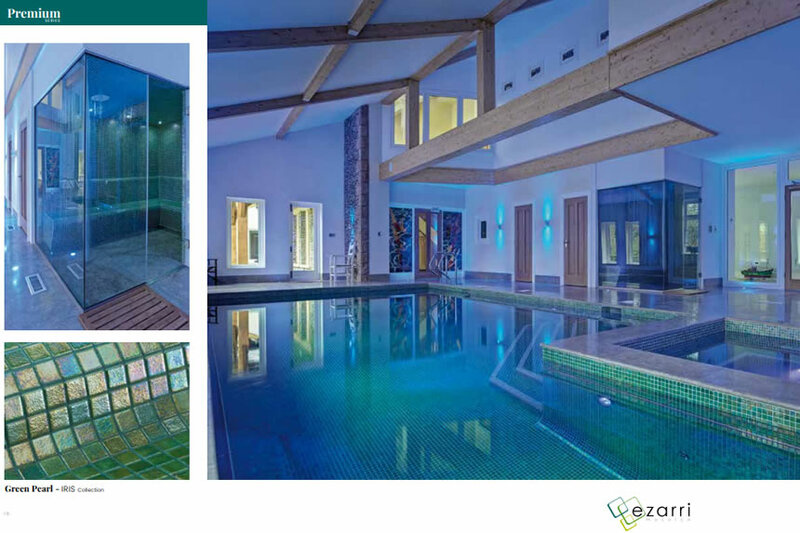 This section showcases Ezarri mosaics in various private pool projects across the world. The Premium Series is for those clients who want a dazzlingly sublime pool, complete with features from our most select collections. The exclusivity, distinction and exquisite design of the Premium Series bring a distinguished touch to your project. Choose from the Zen, Cocktail, Iris, Metal, Fosfo, Topping, Space and Vulcano collections. The Classic Series is always a good choice. With its timeless design and Ezarri quality, it is a fantastic option for those looking for a safe bet, whatever the project. Choose from the Lisa, Niebla, Mix and ?Fading Out collections. The Custom Series brings your ideas to life. If you are looking for the utmost individuality, the Custom Series is for you. 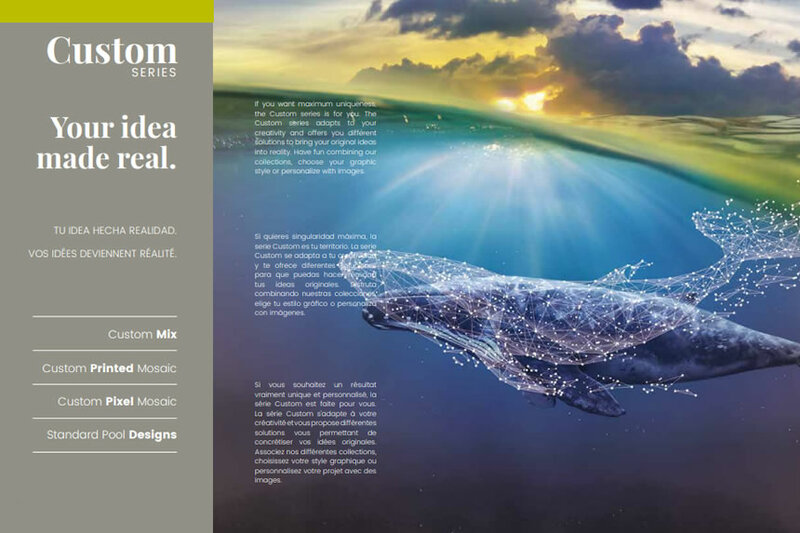 The Custom Series adapts to your creativity and offers a variety of solutions enabling you to make your unique ideas a reality. Custom Mix: Create your own blend of colours. In Ezarri, we let you design your own blend of colours. Visit the Mix Generator on the Ezarri website and combine our mosaics as you wish. The result? The perfect mosaic for your pool. Custom Printed Mosaic: Your most original design made reality. Customised printed mosaic creations. Custom Pixel Mosaic: Each mosaic tile in this customised product is a pixel in a simple image. Standard Pool Designs: Select from among a variety of images created with digitally printed mosaic tiles to decorate your pool. 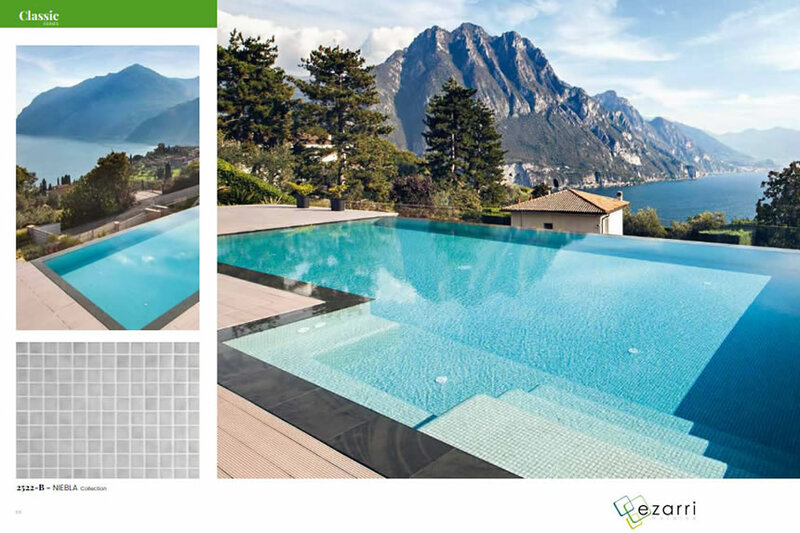 The next section of Ezarri´s new ‘Pool’ catalogue features our mosaics in our diverse collections. We provide technical information about our products and showcase our hugely varied portfolio. Everything is presented visually, with examples from each of our collections. 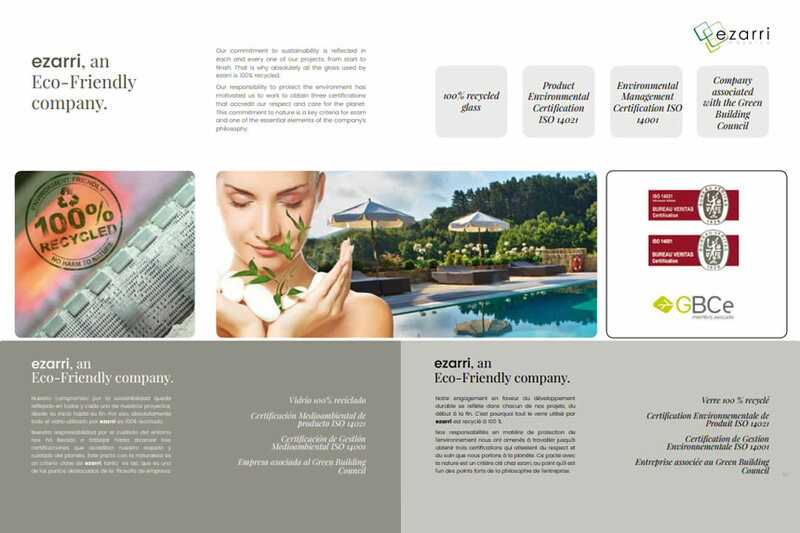 The final sections of ‘Pool’ provide detailed corporate and technical information about Ezarri and explain all our available products. 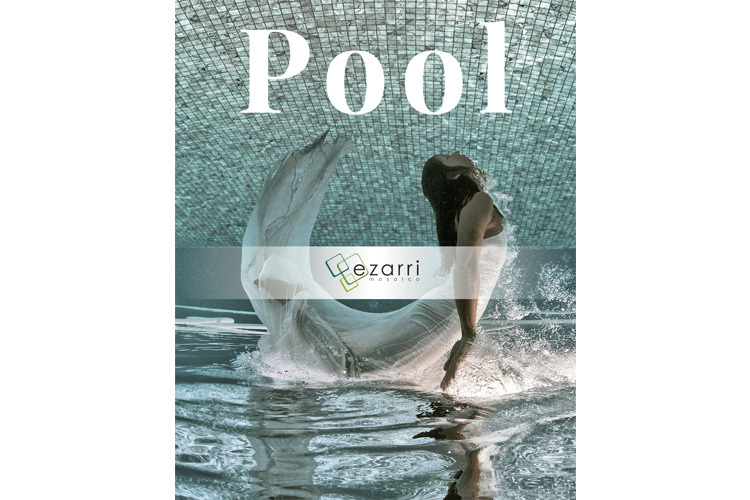 Download the new ‘Pool’ catalogue on the Ezarri website.